During the holidays I wanted to make something to give to my office peeps and found this yummy recipe online, which I adjusted a bit. Its no longer a holiday gift, Im making this one all the time now. 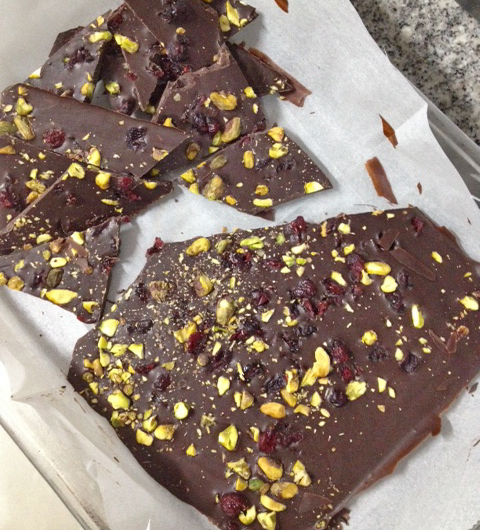 My own homemade Gluten Free, Sugar Free chocolate! 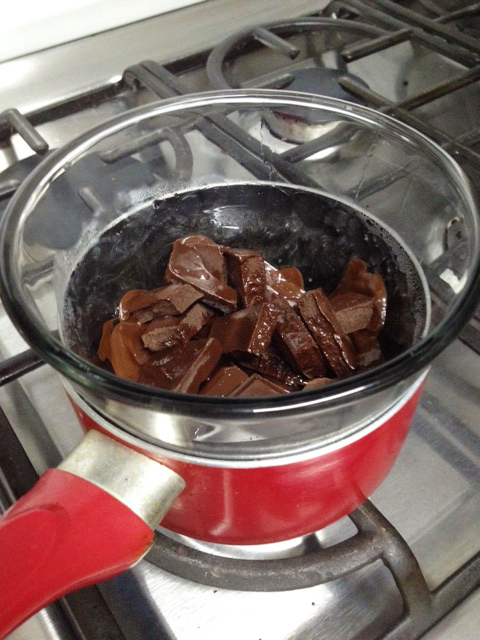 In a double boiler (I use a glass heat resistant bowl on top of a pot with boiling water), melt the chocolate with the coconut oil and coconut flakes. 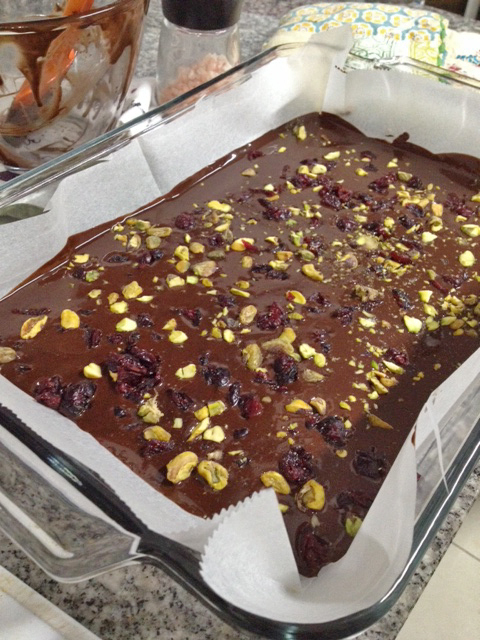 Pour into a tray lined with parchment paper and distribute evenly. En las fiestas de fin de año quise hacerle un detallito a mis amigos de la oficina y encontré esta receta súper rica en línea, la cual ajuste un poco. Ya no es un regalo de navidad, ahora lo hago todo el tiempo. Mi propio chocolate hecho en casa, sin gluten y sin azúcar! derrítelo con el aceite de coco y el coco rayado. Vierte la mezcla sobre una bandeja con papel pergamino y distribúyelo bien. Échale los arándanos, pistachos y un toque de sal del Himalaya . Congélalo por 2 horas y rómpelo en piezas medianas. Yum! This looks great. 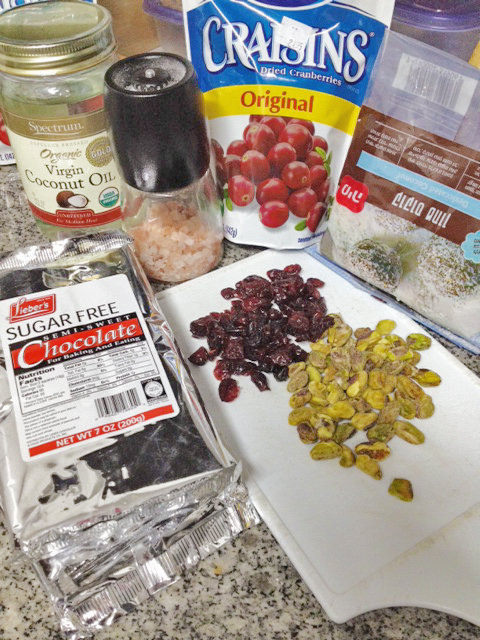 I just posted about my favorite uses for coconut oil and homemade chocolate definitely made the list. Love how easy it is!